The racing circuit in Australia features many prominent races throughout the year. The Melbourne Cup and the Cox Plate are two of the most popular. Also important is the Golden Slipper Stakes that is held in March. The race attracts some of the most promising two-year-old race horses in Australia, and it carries a purse value of A$3,500,000. Let’s take a closer look at this important Australian horse race. 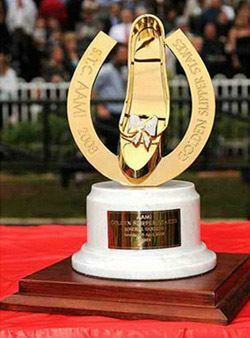 The Golden Slipper Stakes is presented by the Australian Turf Club. It is considered a Group I stakes event. This means that it is typically reserved for the best horses in Australia. The race is contested at a distance of 1,200 meters. In traditional fashion the race is ran on the grass at the Rosehill Gardens Racecourse. As of 2018 the Golden Slipper Stakes is sponsored by Longines. The company also sponsors important races in America like the Kentucky Derby. The very first Golden Slipper Stakes was contested in 1957. The victor that year was a horse named Todman. The sire of Todman was Star Kingdom, a horse that became particularly successful at stud. The offspring of Star Kingdom would go on to win the first five runnings of the Golden Slipper Stakes. The Star Kingdom bloodline is still popular in Australia today, and many of the stud’s offspring regularly win important races in Australia. In 2009 a decision was made to host the race on the first Saturday in April. It precedes the Kentucky Derby by about one month. The race is now part of what has become known as the Golden Slipper Carnival. This year the race is being held on March 23, 2019. Adjustments to the date have been common since 2014. The race is restricted to two-year-old horses. Unlike in America, both fillies and colts have been known to make an appearance in the race. American trainers are always hesitant to run their female horses against males at such a young age. The fact that many top-caliber two-year-old males are studs also complicates matters. The Golden Slipper Stakes is the marquee event of the much larger Golden Slipper Racing Carnival. This event features several days of high quality horse racing. It is presented by the Australian Turf Club at Rosehill Gardens in Sydney’s West. This track is one of the most beautiful top be found in Australia. Rosehill Gardens has recently undergone a $28 million dollar refurbishment. New indoor and outdoor areas have been created, and WiFi is available throughout the racing complex. The new venue has also become popular for hosting other major events in Sydney. There are a few jockeys and trainers that have amassed multiple wins in this Australian stakes race for horses. Among these are trainer T.J. Smith who has the most wins of any trainer that has ever competed in the race. Smith has managed to capture the event six times in his career. This is no small feat when you consider the fragile and inconsistent nature of two-year-old horses. Other trainers that have good records in the Golden Slipper Stakes include Gai Waterhouse, also with six wins. Waterhouse is considered to be one of the best conditioners of young horses in Australia. Bart Cummings, Lee Freedman, and Clarry Conners are staking their own claim on the race with four wins each. As for jockeys, Shane Dye and Ron Quinton have won the race four times each. This is similar to jockeys in the US that have won multiple runnings of the Kentucky Derby. Would you like to watch and wager on the Golden Slipper Stakes? You can do that when you create an account with one of our recommended online horse betting sites. 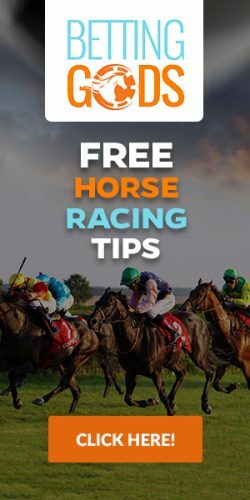 You will receive a nice welcome horse betting bonus when you sign up, and some racebooks will even allow you to make Bitcoin deposits.